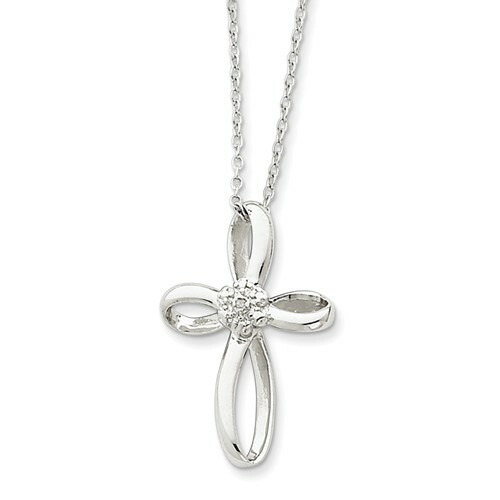 Sterling silver cross has a single 1pt round diamond accent and dangles from an 18in rope chain. Pendant size: 1in x 5/8in. Weight: 3.22 grams. .01 CT diamond. Measures 1 inch tall by 11/16 inches wide.